He may have proved his mettle as a performer with films such as Kaminey, Haider and Padmaavat, but Shahid Kapoor says initially it was not easy for him to score versatile characters. 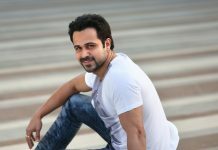 The 37-year-old actor, who made his Bollywood debut with college romance Ishq Vishk, said it was tough for him to break out of the “chocolate boy” image. “I have always tried to get good and versatile roles. I wanted to show my versatility. But nobody used to offer me such scripts. They used to think that I am only suitable for chocolate boy and college student roles. There were no other options,” Shahid said. The actor said it was sheer hard work and perseverance that helped him in convincing the filmmakers that he has much more to offer than just being a lover boy. “It’s been 15 years since I have been working in the industry and after much hard work, now I am being offered diverse roles. “It’s been a long journey and I have made a lot of effort. Today, I feel very fortunate that people also think of me as an actor who plays a variety of characters,” he said. Shahid’s next film, Batti Gul Meter Chalu is another addition to his diverse filmography and the actor says his character in the new feature was unlike others he has played on screen. Directed by Shree Narayan Singh, the film is set in Uttarakhand’s Tehri Garhwal district and narrates a story of electricity theft in rural areas of India. “There are many such issues that people face in those areas and we have addressed these in the film,” Shahid said. Also starring Shraddha Kapoor, Divyendu Sharma, and Yami Gautam, Batti Gul Meter Chalu will hit the theatres on September 21.